Farrington Field Facade iphone x case by Joan Carroll. Protect your iPhone X with an impact-resistant, slim-profile, hard-shell case. The image is printed directly onto the case and wrapped around the edges for a beautiful presentation. Simply snap the case onto your iPhone X for instant protection and direct access to all of the phone's features! Awesome building and great work! Beautiful capture of architectural detail! They just don't build them like they used to! 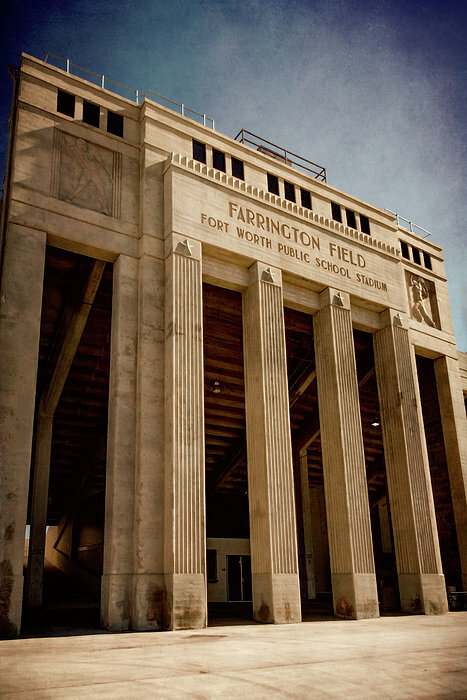 This is Farrington Field, built in 1938-3, a 20,000 seat public school district stadium for football and track in Fort Worth TX. It was designed by Preston M. Geren. The facility is Art Deco/Classical Moderne styled and was named in memory of E.S. Farrington, a long time superintendent of the Fort Worth Independent School District. The west grandstand facade shown here features a monumental central bay. The columns are fluted and the capitals have stars on them. There are also panels that depict athletes. in the Classical Moderne style. The Works Progress Administration (WPA) and the Fort Worth Independent School District (FWISD) jointly funded the $244,000 project. 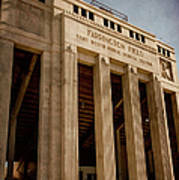 Millions of local students and their parents cherish memories of games and athletic competitions at Farrington Field. 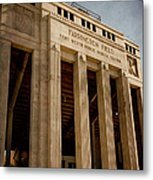 It is listed in Historic Fort Worth's most endangered list.